The Wark Family are big on tradition…and for as long as anyone can remember, the rooster at their farm at Stonewell in the Barossa has taken the name of the breeder. Current rooster in residence and king of the coop goes by the moniker Jim….’Big Jim’….named after James Wark. Big Jim is noble, he’s handsome, he’s vigorous and he’s virile. A solid all round unit….and the perfect ambassador for the best Shiraz grown in the Wark Family’s vineyard. the vineyard they reckoned to be fairly special, and the decision was made to treat it a little bit differently to the rest of the block to produce the very best Shiraz possible. With the aim of reducing yields to concentrate flavour, Steve mulched the vines and backed off on the irrigation and other inputs. The quality of the fruit harvested from this section in 2014 blew us away…and the Big Jim Shiraz was born! This wine is black in the glass and the rich Shiraz flavours are super concentrated courtesy of the low yields in the vineyard. 18 months ageing in a mix of 50% new French hogsheads and 50% seasoned oak has lifted the spice notes to a new level and given the wine really fine structure. 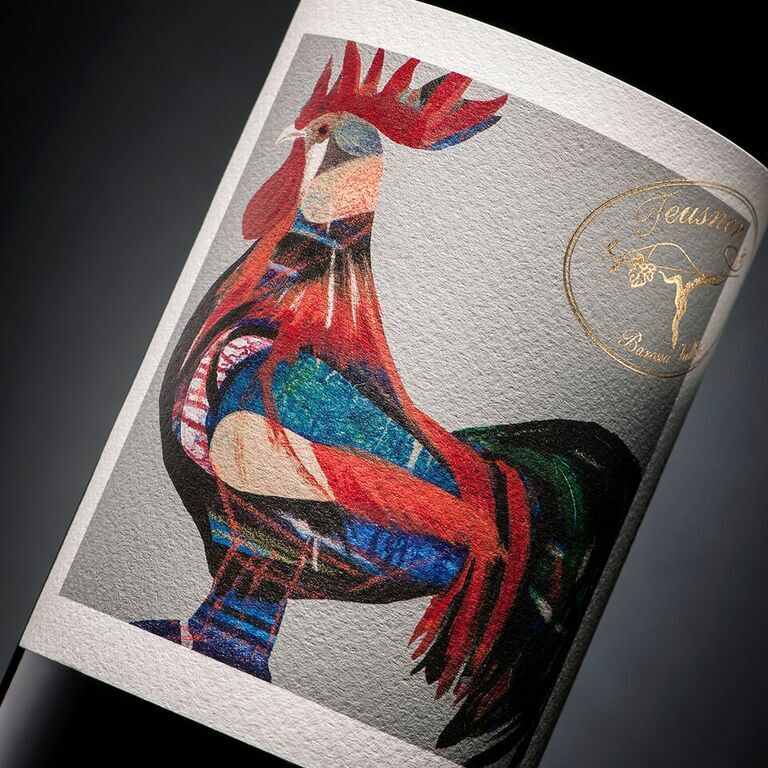 Marnie Wark was given the task of bringing Big Jim to life in a painting to grace the front label…a big, black, bold and impressive bird he is, just like the wine that bears his name. Here’s to Big Jim…the rooster and the red!